You see them all over the Triangle. That’s right, GoTriangle buses moving people from home to work, school, shopping, and anywhere in between. 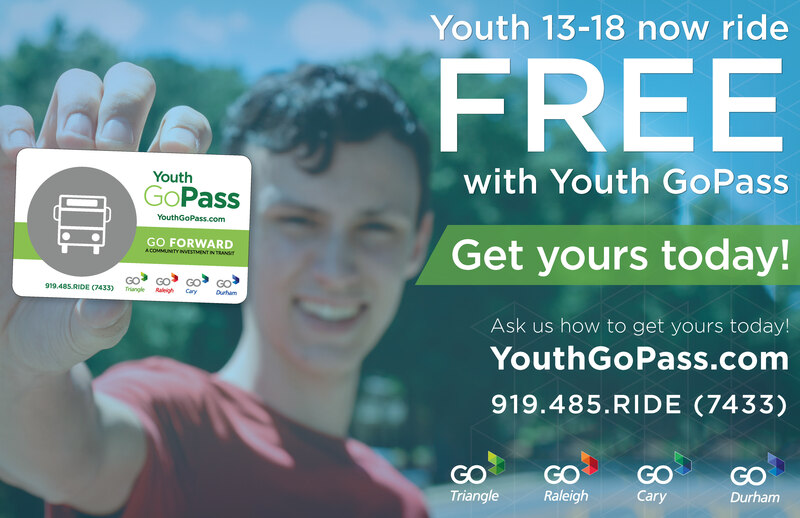 Performance Print Services teamed up with GoTriangle to help print the new Youth GoPass materials. This new program provides teenagers age 13-18 with the ability to ride the local bus free of charge by using the Youth GoPass. Check out the News & Observer article and video here. Performance Print Services printed an informational brochure with application and hang tags and posters for the buses. Bryan and his wife Tara live in Raleigh, NC with their two children Ella and Bryce. 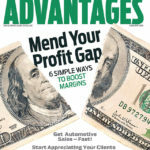 In an article titled “6 Simple Ways to Boost Margins” published in the latest edition of Advantages, I had the opportunity to discuss the correlation between customer relationships and higher profit margins. In the article, I provide examples of how Performance Print Services has built customer relationships through trust and exceptional customer service. This core value has been the foundation of our business since the beginning. It has allowed us to have meaningful and mutually beneficial conversations with our customers. If the relationship is weak you will seldom get the chance to negotiate with the customer, leading to a better outcome for them and a higher margin for you. 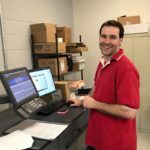 The catalyst behind Performance Print Services was formed fifteen years ago. I met Mitchell Bratton when we started working together at a mid-sized offset printing company in Cary,North Carolina. This meeting eventually formed a working team that set the foundation of our customer relationships and over time position us to open the doors of PPS. This story mimics many other business partnerships, in as much as two people working together for many years decide one day that they can venture off on their own. And this is essentially what we did, except that it took four years of planning and evaluation before we took the leap. You see, I had to overcome the fears of becoming an entrepreneur, and that was a painstaking task for me.Even though nothing is guaranteed, we understand our customers’ work very well and built strong relationships with them, and that could give us an advantage. So, what exactly does it mean to “understand” our customers’ work, and how does that provide an advantage? For Mitchell and me, it means that we put in many hours learning about our customers’ industries and how our services play a role in their world. Then we built internal systems that provided us with more efficient ways of producing their work while providing them with more information with more frequency. With each project we managed, we added another skill set that would eventually earn us expertise in what we do. From day one, we always put customer service ahead of everything else and that concept, while seemingly simple, is what fueled our growth and gave us the confidence to create Performance Print Services. If you are a customer of ours, we owe you a debt of gratitude for believing in us and entrusting your work to us. You have our commitment that we will always put customer service first, so that you can be assured that your work is in the best hands. If you aren’t yet a customer, we would love to have the opportunity to show you what we can do and to hopefully earn your business. Many of our customer relationships began with an opportunity to show what we are capable of doing, and have flourished as a result. Mitchell and I both look forward to building our company together. We look forward to investing in our company to provide the services that our customers need, jobs for people in our community, and a positive example to future entrepreneurs. 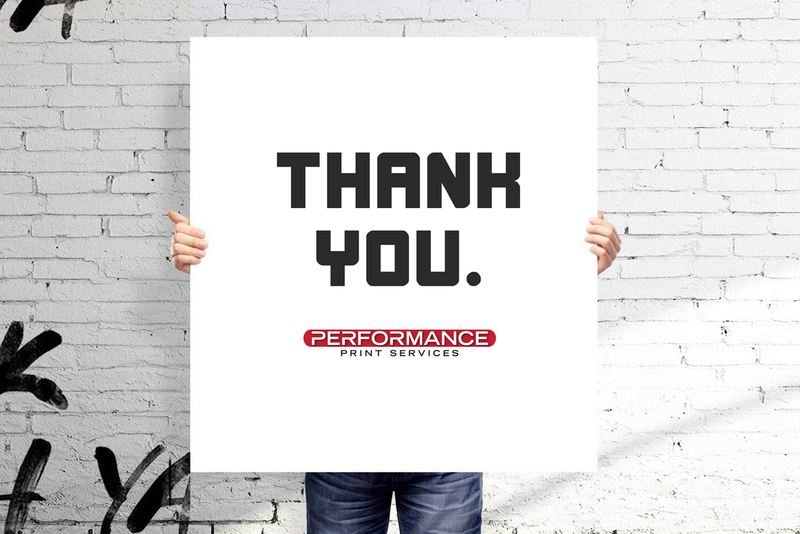 Thank you for being with us, and helping us to become PPS! PPS installed the new Duplo 616 Pro Slitter / Cutter / Creaser to their bindery department to increase the workflow efficiency within the shop. The Duplo DC-616 PRO Slitter/Cutter/Creaser is the perfect finishing solution for the short-run, on demand digital printer. Designed to remove white borders and prevent toner cracking on digital color documents, this all-in-one finisher can process up to 6 slits, 25cuts, and 20 creases in a single pass – bringing efficiency and automation to the post-press operation. “Up to now, we have been manually creasing and cutting our print sheets. The Duplo 616 Pro will save us a tremendous amount of time and add significant value to our customers”. The addition of the Duplo is another step in the growth process for PPS. Since opening the doors inMarch of 2017 PPS has installed a new Konica Minolta production printer and now the Duplo finishing unit.